Our Price Promise! – We will never be beaten! Please remember that you are only renting these races for a limited number of uses. The duration of each of our races is approximately 5 minutes. 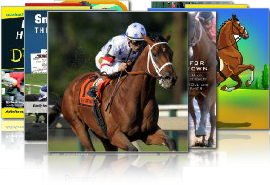 Our service is now fully online which means that you can download the races directly to your computer within the next 10 minutes. This gives you instant access and saves you the cost of shipping. The only downside with this new service is that you have to print all your own paperwork. All of which is freely downloadable from the site. We have a complete range of packages and can if required produce individually tailored options. These will be subject to availability and requirements. Extra Pig races are available to add to your package. Please remember you are only renting these races for a limited number of uses.